The beat 'em up done right!. I picked Persona 4 Arena up on a whim recently and honestly rather enjoyed it for what it is, I know I mite be showing my hand a little early here but stick with and I'll let you know just why you shouldn't let this little gem pass you by. 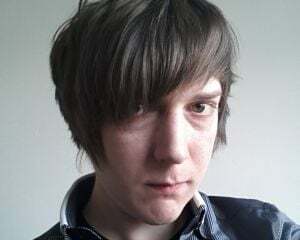 Now I happen to be a huge fan of JRPG's, so it mite come as a surprise to some of you to hear that I've never actually played a game in the Persona series before, of course I always planed too but I just hadn't gotten around to it yet, you know how it is, you keep putting off playing a game only for something new to come out and it just keeps happening again and again, anyhow I digress. Persona 4 Arena isn't exactly your typical JRPG, as a matter of fact it's not actually a JRPG at all, it's a 2D style beat 'em up set in the world of Persona 4. Now not having actually played Persona 4 or any of the past titles in the series for that matter, and only having a very mild understanding of some of the similarities from each game (i.e. the Personas: Mystical huminoid guardians that in this game are born from the hearts and bonds of the main characters) due to this lack of knowledge regarding the back story I had some reservations going into Persona 4 Arena, thankfully though having no prior knowledge of the plot from the previous game was not a problem, certain plot points from Persona 4 do come up but they are usually immediately explained in "story mode" and are only really there to explain current events and/or drive the plot forward. Established characters from Persona 4 make a return and are also explained and fleshed out a little, this helps in understanding each of the characters individual goals and motivations, new characters also make an appearance and again are explained in detail during the events of "Story mode". Persona 4 Arena is brought to us by Atlus and Arc System Works, who's most notable entries into the beat 'em genre are the critically acclaimed "Guilty Gear" and "Blaz Blue" so with this kind of pedigree it's safe to assume that they know how to make a great fighting game, and Persona 4 Arena is certainly worthy of that title, and possibly more so. I decided to give "Lesson Mode" a go first and I recommend everyone do the same, if you've happened to have played "Blaz Blue" or even "Guilty Gear" you'll know that to fully appreciate the combat you'll need to become accustomed to individual characters special attacks and abilities, fortunately "Lesson Mode" offers a tutorial that helps get you to grips with the simple basics of moving left and right, jumping and guarding, all the way up to special attacks and finishing moves, similar to the "Astral finish" moves seen in Blaz Blue, some of the button combinations to pull of certain moves are a little tricky but if you're an avid beat 'em up gamer you shouldn't have too much trouble. Once I'd finished with the "Lesson Mode" tutorial I headed over to "Story Mode" you're given a selection of 13 characters, only 4 characters are available at the start while the remaining 9 are currently locked and must be unlocked by progressing through the story. I'll tell you now Persona 4's story is extremely text heavy, It took at least 20 minuets from clicking on "Story Mode" until I encountered my first actually fight, the actual fighting being broken up between very lengthy but arguably important text driven cutscenes. There is some actual spoken dialogue between characters and the voice acting is pretty decent given what we've come to expect from these kinds of dubs, the inner monologue while giving the player a deeper look into the thought process of our chosen character does tend to ramble on at times, and you'll begin to question the point of it especially when characters start pointing out the bloody obvious, it also strikes me as a little cheap at times when your character starts describing theirs or another's actions instead of the game cutting to an actual animated short and actually showing off the event happening, these little animated shorts do happen but they are very far and few between. It also needs to be said that a good sense of humour and an open mind is recommended when tackling the story mode, the main character Yu's dig of a title for instance "Sister Complex Kingpin Yu" was uttered a number of times during my play through and I imagine that could cause some embarrassment if the game is being played in the presence of others less inclined or willing to to see the humour in it. Sandwiched between these thick wordy crusts is the actual meat of the game. The fighting is, while a little too short in "Story Mode" a sight to behold, with fancy moves releasing particle effects all over the place and special attacks filling up the screen. Every character has a certain set of special skills that can can either, stun, freeze, electrocute, attack from a distance and/or explode, they all also have a unique Persona, the Persona is essentially a special attack that is assigned to the (Y) and (B) buttons when playing on the Xbox 360, the Persona is also capable of being hit by your opponent and if hit enough times is temporarily put out of action. As well as having both characters individual life bars at the top left and right corners of the screen there is also a special attack bar at the bottom left and right corners of the screen, similar to those seen in both "Guilty Gear" and "Blaz Blue" these bars also have a numerical value over them that goes up in value when you hit your opponent or get hit by them, and goes down when you use your Persona. If the value reaches (00) then you will be unable to attack with your Persona until you raise the value enough). The enemy AI in this game also gets pretty challenging as you progress, often when missing with an attack and leaving an opening for a counter attack my opponent would exploit it without hesitation, in later levels a simple miss timed combo would more often than not see me get knocked to the other side of the screen or suffer a devastating combo attack, this is the kind of beat 'em up that forces you to learn and adapt to your opponent, and as a lover of beat 'em ups I found the actual fight mechanics in Persona 4 Arena to be thrilling. Needless to say though, if you're the kind of gamer who dislikes reading mountains of text and inner monologue similar to those found in Japanese graphic novel styled games, is less than impressed by the Japanese sense of humour, and/or just wants to get to the action and bust some heads in an easy to learn but hard to master brawler, then I recommend you steer clear of the "Story Mode" and head straight to "Arcade mode" where the story is scaled back in favour of the fighting and where the absorbingly entertaining fight mechanics really get a chance to shine. All in all Persona 4 is not only a very fun and immersive beat 'em up, but a well rounded and enjoyable game. The painfully slow early portion of the story mode and seemingly endless text windows between battles may put some gamers off the story mode altogether, as could the sometimes cheesy and awkward dialogue, however the game makes up for these minor shortcomings with Arcade mode, along with other modes such as Versus Mode, Score Attack Mode, Tutorial Mode, Challenge mode, as well as online multiplayer. If you can bring yourself to look past Persona 4 Arena's minor flaws the game is very enjoyable and definitely worth your time, if you're fan of beat 'em ups you owe it to yourself to give this game a try. -The fighting is fun with enough depth to keep you coming back for more. -Entertaining story and intaresting characters. -It's a 2D HD beat 'em up so you can't really go too far wrong graphics wise, 3D environments look good too. my only complaint here is some of the anime cutscenes look a little cheap, other than that no problems. -I personally loved the music in this game. The voice acting is also better than average especially from what we're used too from these kinds of dubbed games. -Persona 4 Arena is without a doubt one of the best 2D beat 'em ups available, if you are a fan of fighting games or have been looking for a decent one to try out, you owe yourself to play this at least once. -Unfortunatley I don't have Xbox Live Gold so I never played the online portion of the game. 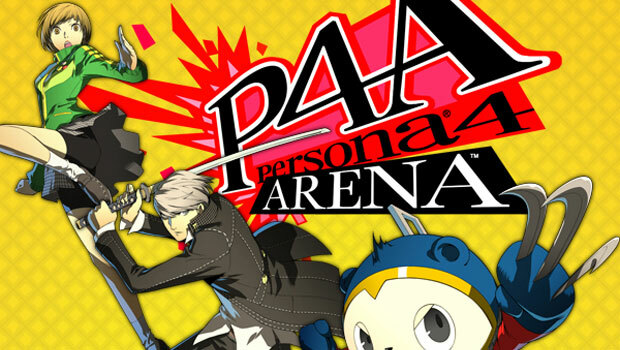 -I would give Persona 4 Arena a 9/10, A must play for fans of 2D beat 'em ups.